Bedrooms: Bunkhouse or Cabin with 6-7 private rooms. 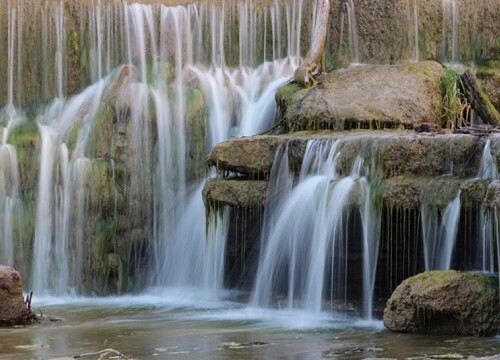 Located approximately 35 miles NE of San Angelo, and just a stones throw west of the Historic Paint Rocks of Texas, The Concho Grande ranch surely lives up to its name! 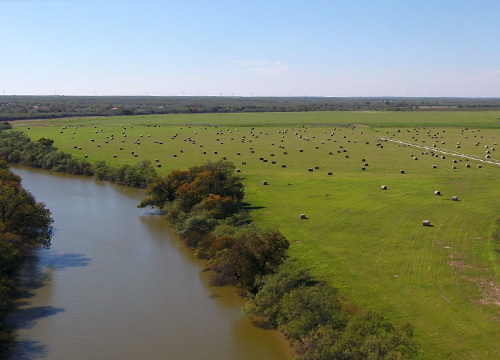 With just under two miles of river frontage on the Concho River and just over one half mile of river frontage on the little Concho, this two thousand five hundred and fifty eight acre property encompasses the best attributes of Texas hunting, fishing and ranching all in one. 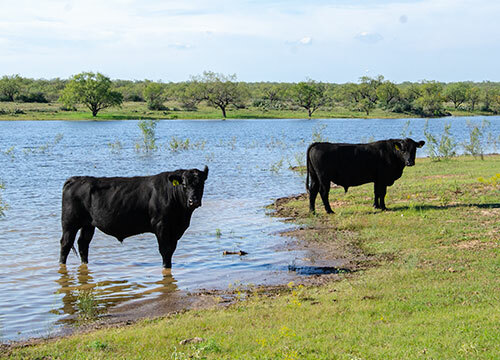 The terrain on the Concho Grande varies from oak covered and scattered mesquite pasture land, with a variety of native grasses, to its gorgeous river frontage, beautiful lakes, and irrigated Tiffton fields. Ideal for small to large scale ranching operations, hunting operations, and hay production. The Concho Grande Ranch really does provide the best that Texas has to offer. 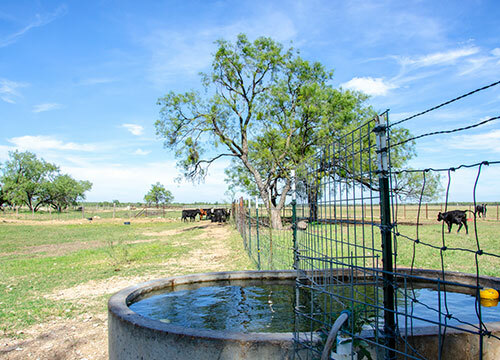 In addition to all the live water one could need, the Concho Grande Ranch boasts Five water wells, four dirt tanks and one small lake. 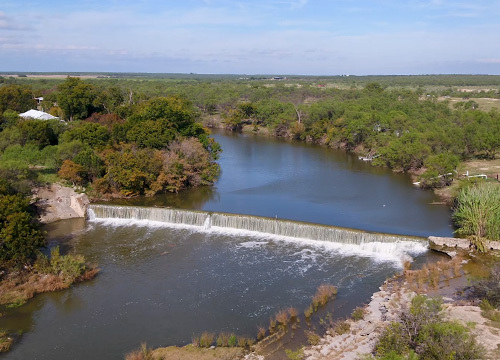 Sims Dam, located on the Main Concho, serves as the ideal spot to fish, relax, explore and take in the beauty of the falls, sounds, and wonders of the Ranch. 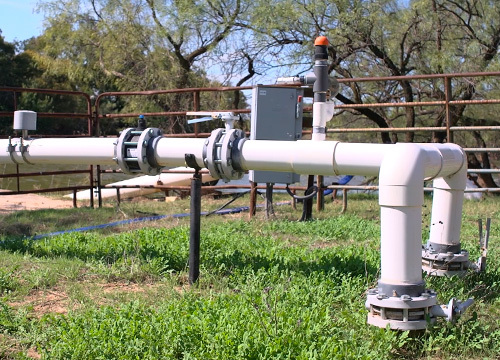 There’s a pump in the river that also supplies water to two pivots with 197 acre adjudicated water rights via the Main Concho. Wildlife on the Ranch is diverse and abundant. High scoring whitetails, wild turkey, Axis Deer, native Texas game birds and migratory water fowl are plentiful. 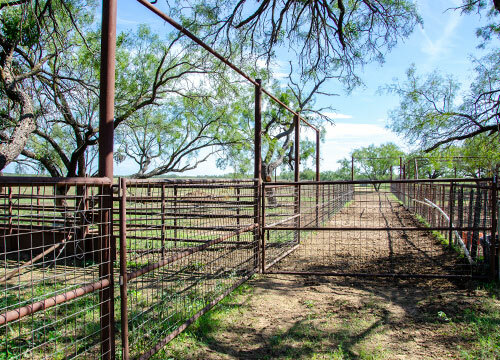 Good roads and high fenced along the parameter, the Concho Grande is truly a turn key property for ranching and hunting alike. 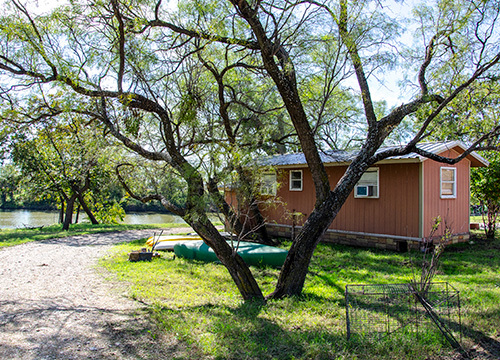 Situated on the picturesque banks of the Concho River, the living accommodations on the Concho Grande ranch are made up of several cabins and bunk houses sleeping up to sixteen in seven private rooms. A great set of working pens and several interior cross fences assist in livestock rotation and wildlife management. 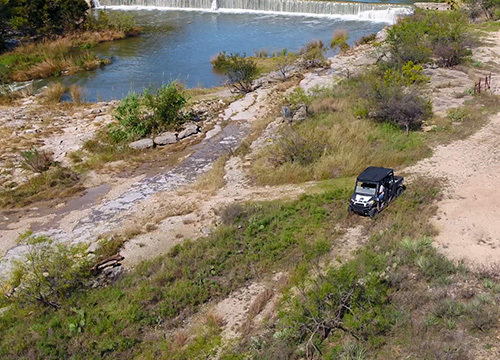 The Concho Grande is truly a Sportsmans paradise! Its diverse landscapes and abundant water put it in a league of its own. 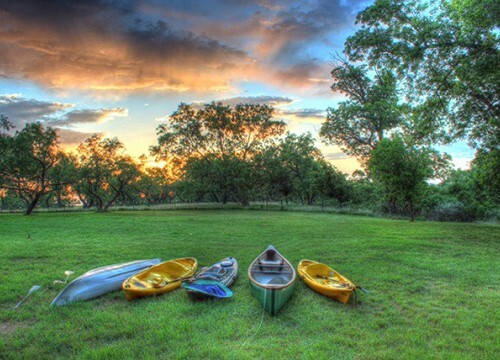 Whether hunting, fishing, or ranching the Concho Grande is sure to exceed your expectations. 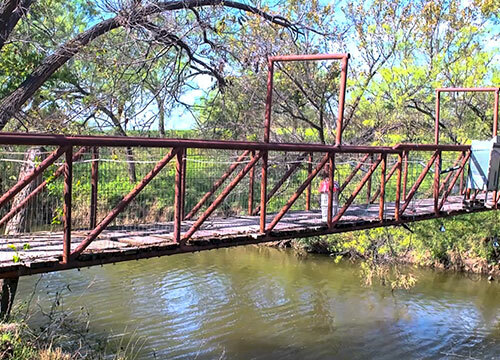 This ranch offers incredible scenery, live water, and an abundance of wildlife native to the area. 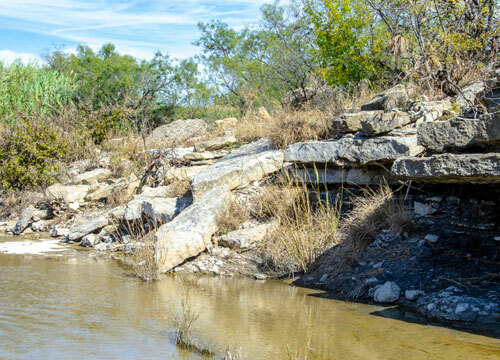 9,200 ft of main Concho River, 3,200 ft both sides of Little Concho Creek, small lake, 3 dirt tanks, 5 water wells and 197 ac ft of adjudicated water rights from Concho River.